Ga Gunk – a froggy love story! 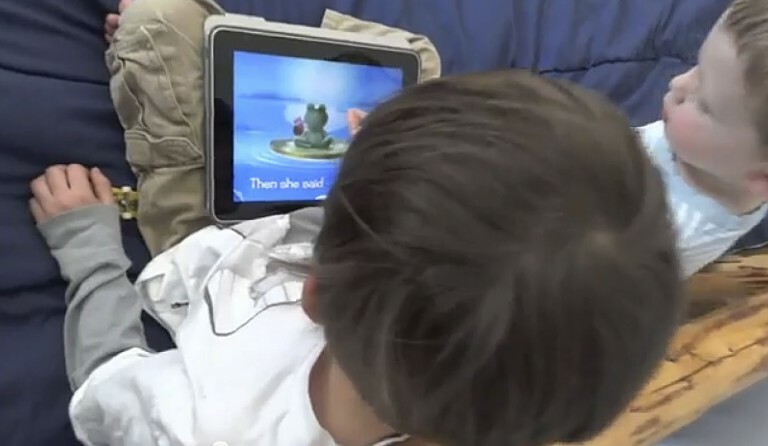 The very first Hot Frog ipad app. Ga Gunk was published on December 17th 2011. 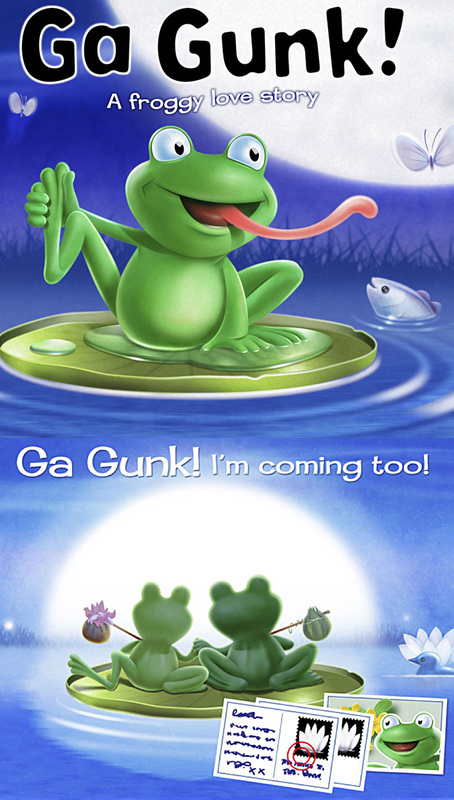 Ga Gunk tells the sweet short story of a magical moonlit romance when two of the cutest little froggies meet one night and fall in love under the sparkling shooting stars. Sumptuously illustrated with gorgeous sounds and lots of wonderful surprises. This new children’s book app. features thirteen interactive pages including a colouring-in page, the ga Gunk song and your very own build-a-frog puzzle. It will delight children of all ages from around 2 years and up. Log into iTunes and download the free Interactive Touch Books app. Then look out for Ga Gunk in their library of over 60 books. Here’s my blurb for the app…..
Paul Morton is a freelance illustrator based in Barnsley, South Yorkshire, UK. For the past 25 years Paul has worked in all sectors of the illustration and design market and is the owner of the busy Hot Frog Graphics illustration and design studio. Paul’s passion is for children’s picture books and he’s tremendously excited about bringing Ga Gunk to the digital sphere. Susie Ramsey is the author of ‘The Dog Lover’s Guide to Lake Tahoe’. With two small children, her interests turned to children’s books. She has always been quite fond of frogs, so her first children’s book inevitably was a froggy love story. 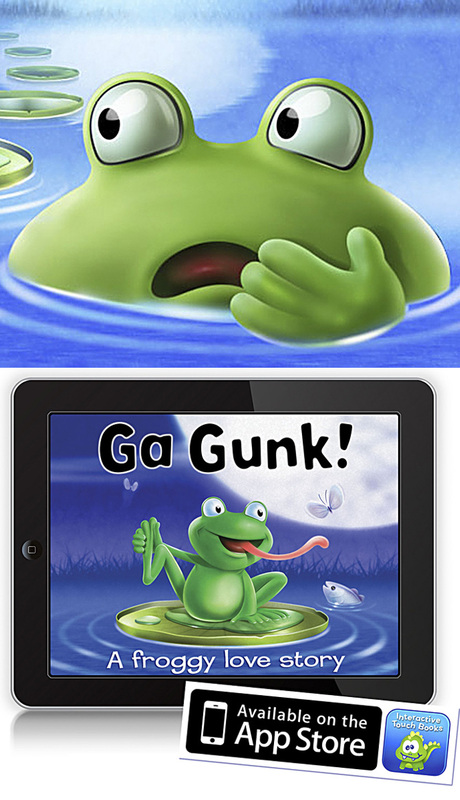 I am very pleased to report that Ga Gunk, in it’s first 3 months, has now sold 324 copies. It has been read a total of 1770 times and hopefully will keep generating interest. As soon as I can find enough time I shall be producing a short promotional video, so be sure to keep checking back for details. Here’s a link to the end song from Ga Gunk.